Deciding whether your pet should get a prosthetic limb takes patience, preparation, and proper research. The process for creating prosthetics is a long journey, from the consultation all the way through to recovery and it’s important to evaluate all of your options before diving in. It’s a tag-team operation with the prosthetist, the pet, and, of course, the pet’s owner! Here are three important items to consider when consulting to receive a new prosthetic limb for your pet. The challenges that can come with a new limb include device suspension, device rotation, the occasional occurrence of pressure sores or friction, and more. When pet prosthetics are made, the prosthetist will try to avoid any problems by reducing the amount of rotation and suspension needed in the prosthetic. During your consultation, give your prosthetist as much information about your pet’s mobility as possible so they can do their best to minimize potential challenges for your pet. It’s important that your pet be comfortable and ready to go in their new life of freedom and mobility. There are certain requirements to make sure your pet will be comfortable and adapt well to their new prosthetic limb. In the veterinarian field, it’s common to just amputate the whole limb. This can actually prevent the option of putting a new limb on. The best course of action for you and your pet is to consult with your veterinarian and a prosthetist prior to amputation so they can help tailor the procedure specifically for your family member. Should prosthetics not be an option, it might be possible to use an orthotic to help prevent further damage to the limb. Not all prosthetics are working for the same goal. To create the right prosthetic limb for your pet, it’s essential to know what type of support your pet needs. There are so many options and types of prosthetics that a pet can receive that depend on how active they are and the many other actions that they perform. For the new limb to work well with your pet, the amount of stress and movement for the limb needs to be reduced. 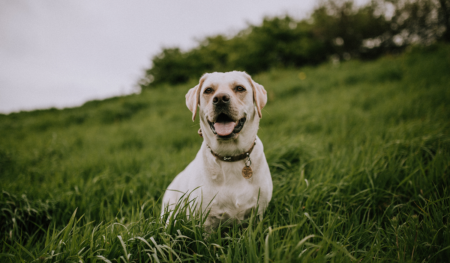 Any licensed prosthetist or orthotist will be able to work with you and your veterinarian to determine the best option to get your pet to that functional goal. The decision to create a prosthetic limb for your pet requires a lot of preparation and planning, but the payoff is worth it to increase your pet’s happiness and mobility. Remember, just like you, your pet’s body and needs will adjust over time. Be ready to make minor adjustments to the prosthetic in the future to ensure your pet lives a long and healthy life!